As the new Carlson Takeoff Suite 2015 hits the worldwide market, the company takes CADnet to InterGeo 2014 to showcase the new 3D PDF conversion features powered by PDF3D technology. London, UK, October 07, 2014 – With workflow, collaboration and 3D GIS being the big themes at this year’s InterGeo exhibition in Berlin this October, Carlson Software is keen to showcase their latest Carlson CADnet release to the civil engineering, survey and construction crowd. 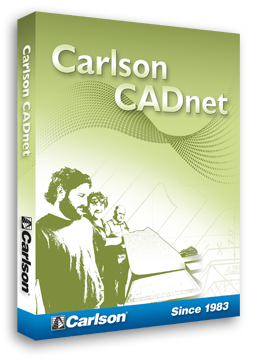 After successfully integrating the SDK toolkit from leading 3D PDF developers PDF3D, Carlson can now offer the ability to convert DWG file data within their CADnet program, into 2D and 3D PDFs. “Our new PDF engine means that CADnet users can share their drawings with anyone regardless of whether or not they have access to CAD software. Recipients can now easily view the drawings in PDF using the free Adobe Reader, which comes standard with most computers. From a workflow perspective, this greatly simplifies processes and communications between parties,” explained Dave Carlson, VP of Development for Carlson Software. In addition to creating 3D PDFs, the new CADnet release includes the ability to import layers in PDF documents and to create drawing entities from a SketchUp file. Users can also Freeze and Thaw linework instantly after importing, which results in significantly reduced estimation times. “We really liked the compression capability that PDF3D’s tech gave us for images and point clouds. The fact that the product already had TEIGHA integration ready to go was a big plus when choosing which toolkit to use in CADnet. PDF3D’s SDK ticked all the boxes,” added Carlson. Software demonstrations from both PDF3D and Carlson can be viewed live at InterGeo 2014 running from 7th to the 9th October 2014 in Berlin, Germany.